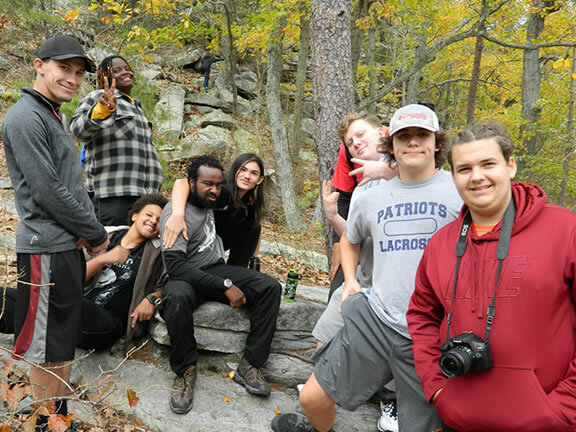 The Alkulana Peer Program (APP) is an Alkulana youth development program that operates during the school-year to support former campers. Campers and former campers from 14 years old through high school seniors share in monthly youth development events. From retreats out at camp to game nights and murder mystery dinners right here in RVA, this group knows how to have fun! But it isn’t only fun and games! We explore how and where we see God in our lives, who God is calling us to be, and we try to offer each other real support for the challenge of being a teenager and life after high school. Fun! : We’re camp people, it’s in our DNA! Life Skills: Adulthood is coming fast! Let’s get ready for the days ahead. Let’s talk about our strengths, callings, challenges, and the ways we can contribute to the world around us. Relationships: It takes a village, right? Let’s be a village! Let’s practice being the kind of neighbors that Jesus talks about. Spiritual Formation: How and where do you see God in your life? How does that shape and inform who you are, who you are becoming, and what you do? Leadership Development: Who you choose to be matters. It matters to the world and the people in it! How might God be inviting you to nurture and care for the world and its people?